I just heard that Michael Jackson passed away yesterday at his home. 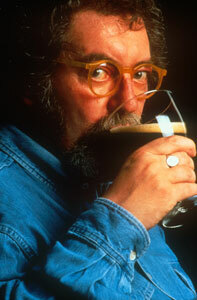 He was the original, true beer advocate and an absolute top-notch beer writer. David and I only got to meet him once at GABF in 2000. He did come by Palmetto many years ago as well. If you’ve never seen the “Beer Hunter” go rent it now (it’s only vhs to my knowledge- always wanted them to redo it to DVD). Wow, I can’t believe it, a true loss. We raise a pint to Michael Jackson!